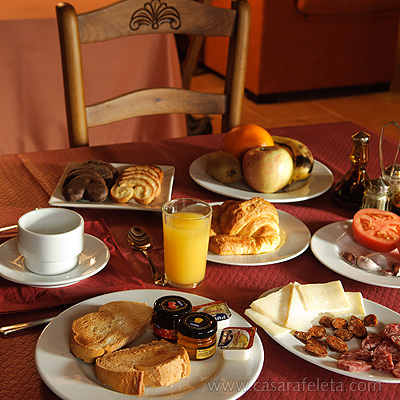 We offer our guests a varied breakfast, complete with artisanal treats such as homemade biscuits or typical "torta", muffins, etc., made in the wood-fired oven in our renowned town bakery. We also serve toast, and, of course, cheese and typical sausages from the area, fruit, coffee, tea, herbal infusions, juice and milk. A different place, special, the magical valley.